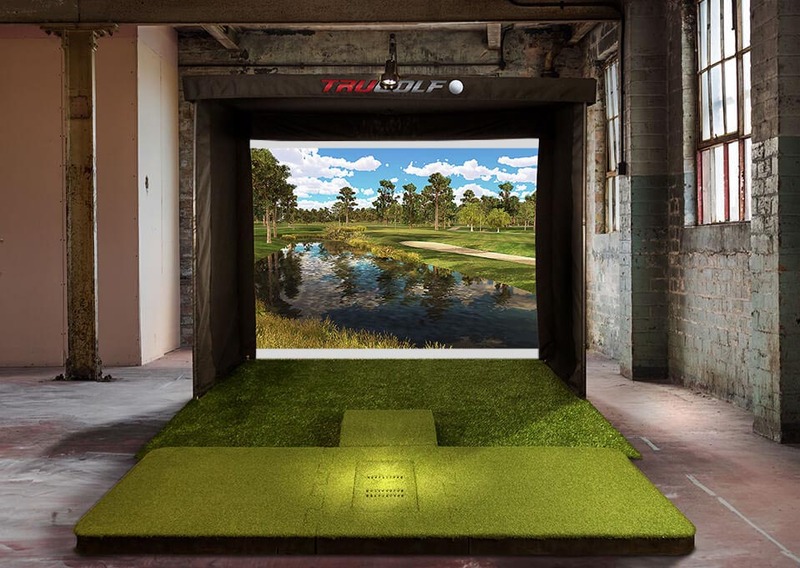 The Vista Series offers the same immersive indoor golf experience as TruGolf's high-end golf simulators—for a fraction of the cost. Payment plans are available for all models in the line. With its compact size (9' W x 12' D x 8 H), the Vista 8 is the most portable and affordable option from the Vista Series. The Vista 10 offers upgraded core components and a deeper enclosure for a brighter, clearer image. It measures at 10' W x 15' D x 8' H.
The Vista 12 offers an immersive wide screen view (16:10 aspect ratio), upgraded core components, and custom component options. 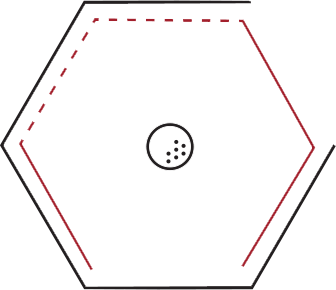 It's for players who want portability without compromising size. 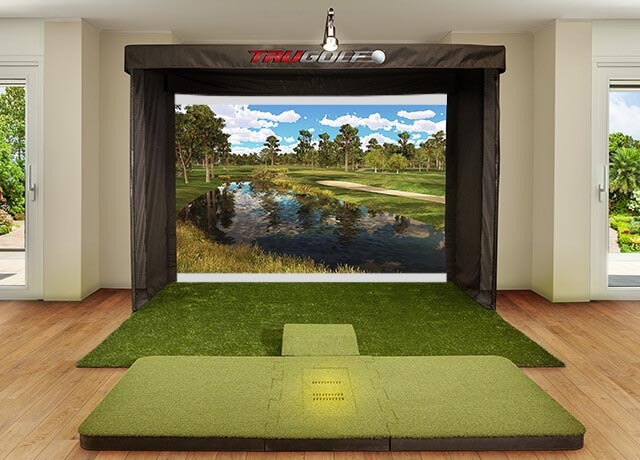 The Vista Series comes complete with cutting-edge hardware and software for a complete golf simulation experience, tee-to-green. 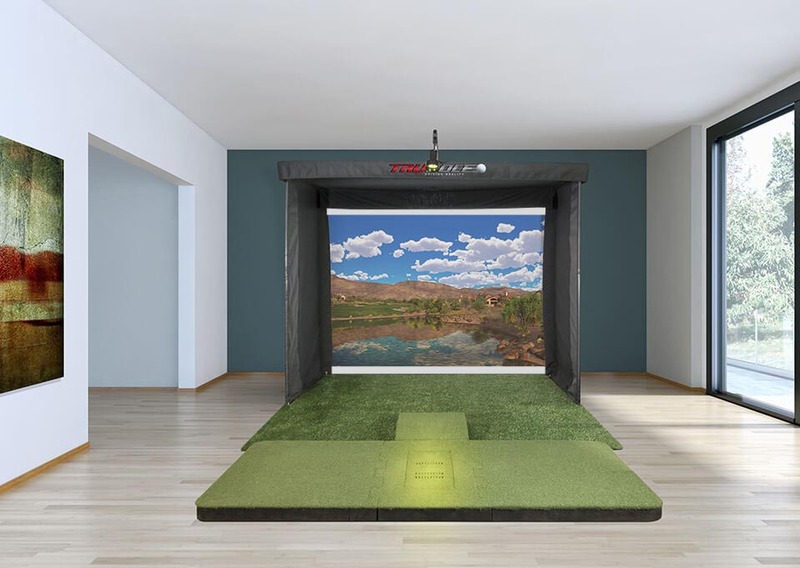 Tracking system hardware to improve your swing with every game. 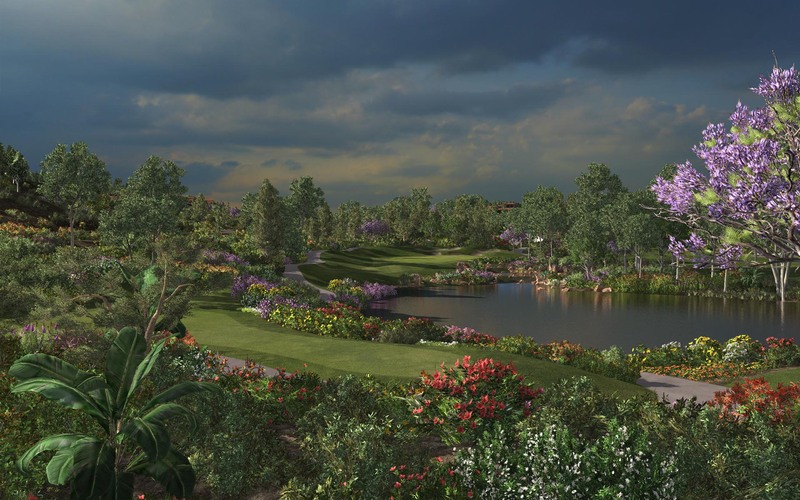 Expertly crafted software makes golf simulation more realistic than ever before. The Vista Series offers technology you won't find with any competitor. The series features a revolutionary new tension system, resulting in an impact screen that is held firmly in place for a clear, crisp image. 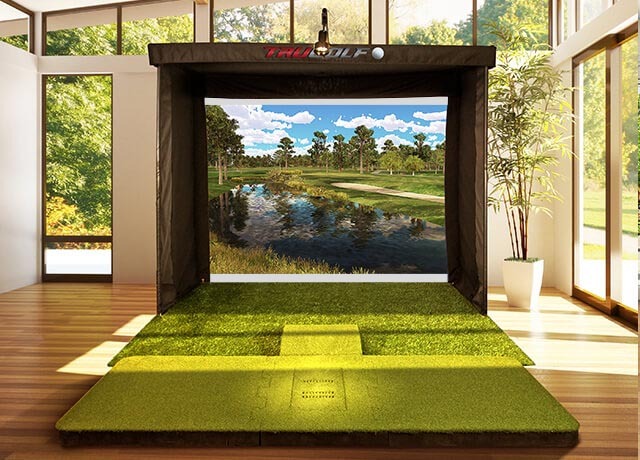 The matte-box design blocks ambient light and gives the Vista Series the same image quality as high-end golf simulation units, but for a much lower price. 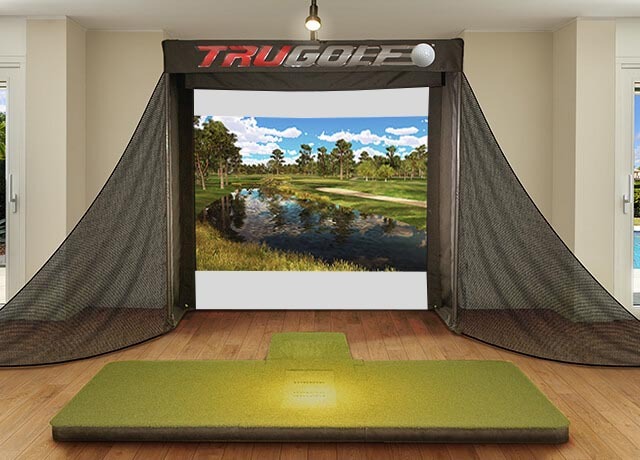 The lightweight aluminum frame makes this TruGolf's most portable unit. 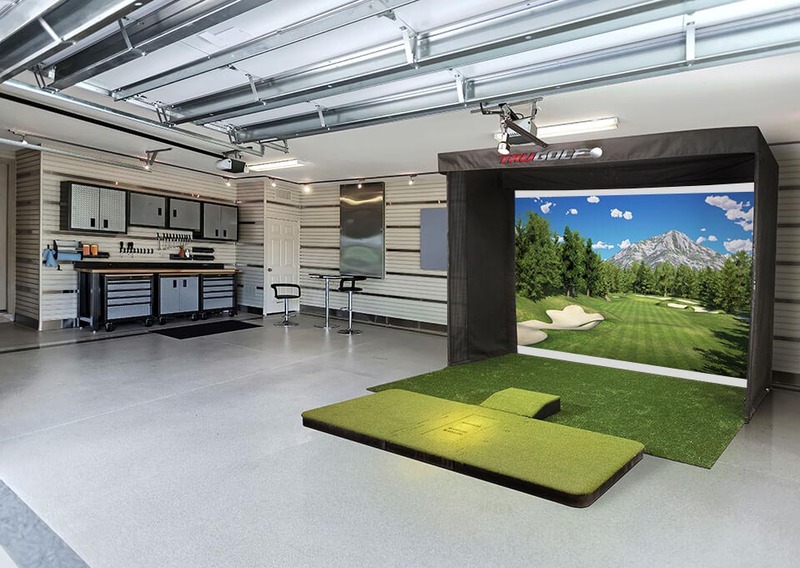 Each simulator comes equipped with a durable travel bag for mobile convenience. 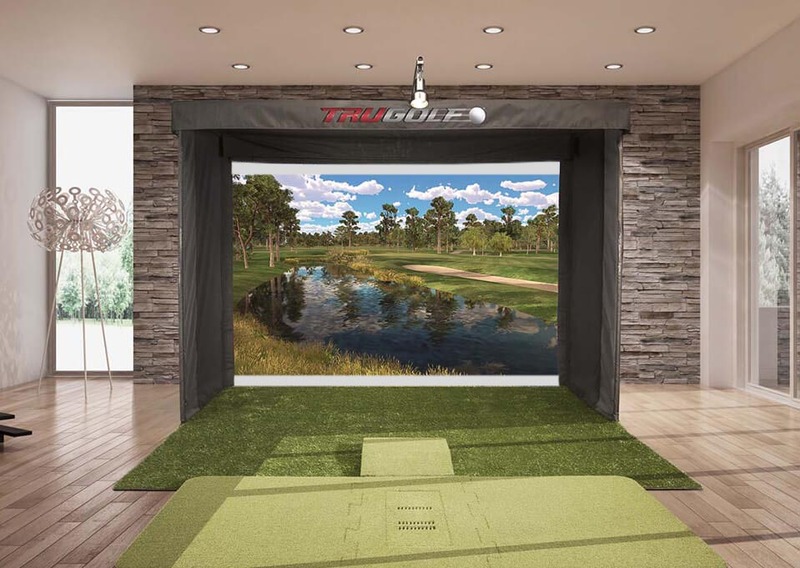 If you want to see the TruGolf difference, you should try it out in person. 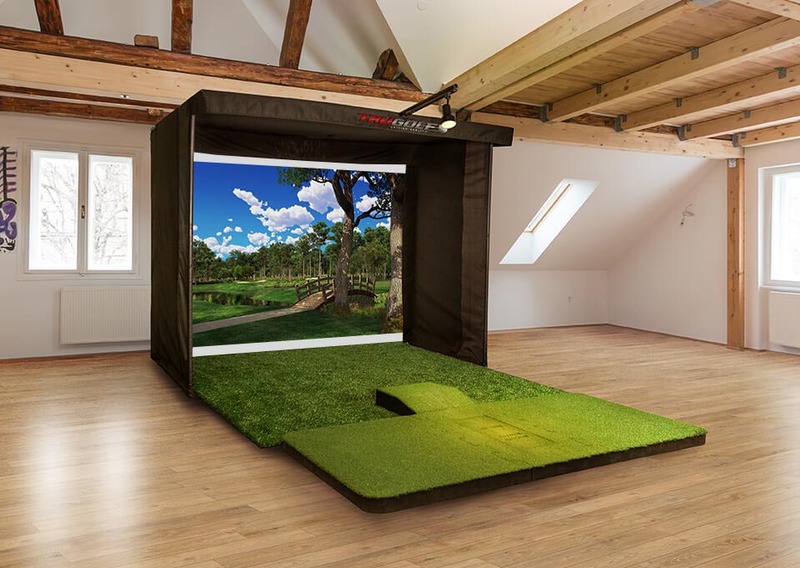 Book a round at a showroom near you.